Zest for Life aims to provide you with choice – adapting our approach to suit you, your team and your business by establishing the best way of achieving the desired outcome together. What is paramount is that we take the most effective and efficient route to getting where you want to be. All programmes are catered to your needs and can be delivered through a number of methods. Having a Virtual Training Manager is an effective and cost efficient resource which takes the shape of a qualified experienced person working on behalf of your business in-house as part of your development team. 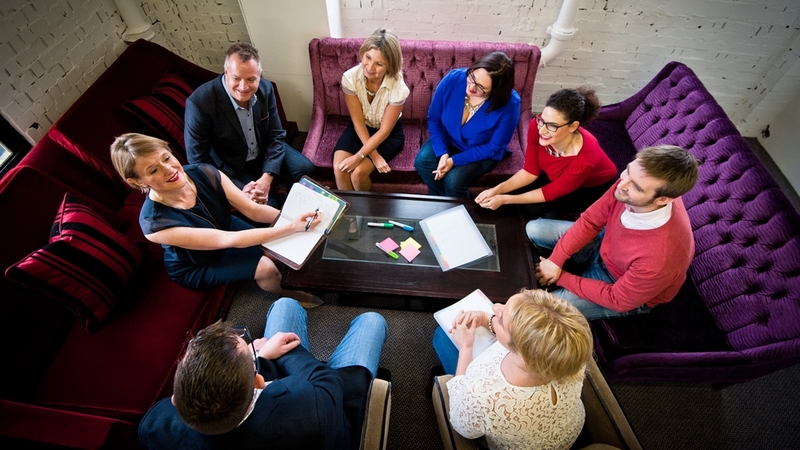 Development training for colleagues, leaders or one-to-one coaching is delivered inside the organisation as and when required but is flexible to the needs of the business without the overheads of a full time employee. For organisations that require regular training or development workshops, Zest for Life offers programmes that are designed, developed and delivered tailor-made to your business culture and requirements. All delegate packs are provided along with other facilitation tools supplied. There is also an option for workshops to be designed for an in-house facilitator to deliver. For this full training is also offered. In a similar capacity to the Zest for Life breakfast workshops, virtual workshops offer a platform for regional businesses to share best practise with colleagues nationwide or to build on best practise with other industry professionals and encourage knowledge share. Virtual workshops are organised on client request and can be an effective method for bringing colleagues together that may be too geographically spread to meet on a regular basis but would benefit from a development framework of this nature. Zest for Life offers a series of accessible online webinars focused on the critical elements of strong and effective leadership and exceptional customer service. The webinars are mini development sessions for people who want to grow and improve their performance by taking small steps to make it happen. The 12 interactive modules in each series are ideally completed as a full programme. Alternatively you can select the sessions that best meet your learning and development needs. Each webinar lasts for just 60 minutes with a maximum of 5 other participants. Zest for Life recognises the importance of the first three month probationary period for both employee and employer. Maximising efficiency from job offer to start date by introducing the new colleague to the organisation as well as the skills, behaviours and knowledge needed ahead of day one, provides an opportunity for the new employee to arrive equipped for the challenges that lay ahead. To ease your induction programme, a majority of the orientation, induction and training can be delivered on-line via a well-built training package. Developed specifically for your organisation a Zest for Life online user-led training package will both save your HR department time and build employee confidence ahead of the first day. There are many benefits to this approach including instilling business ethics, culture and best practise from day one.